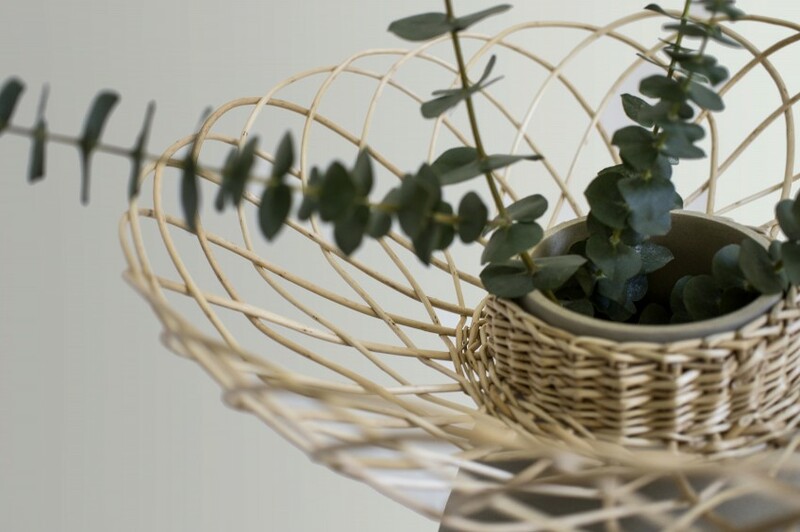 Pottery making and wicker weaving are among the oldest known crafts. 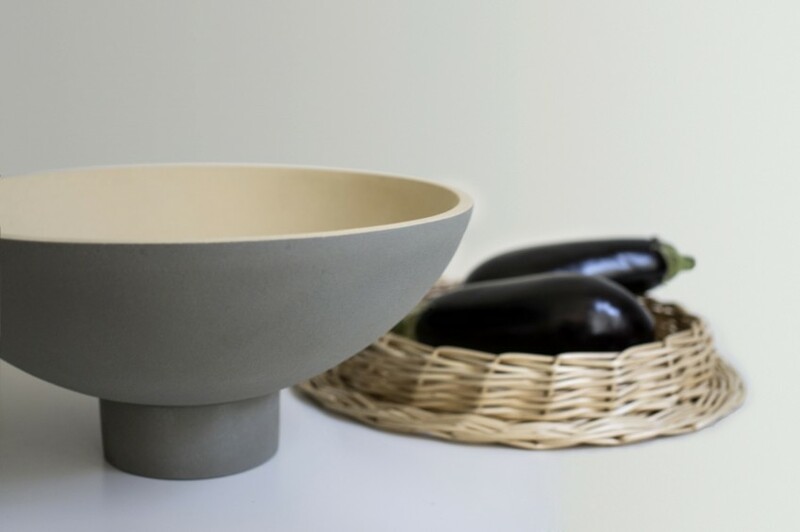 ‚Rustica Subtilis‘ invigorates the traditional materials behind this crafts and interprets them in a contemporary context, using laconic shapes, contrasting colours and textures, while keeping their original natural warmth. 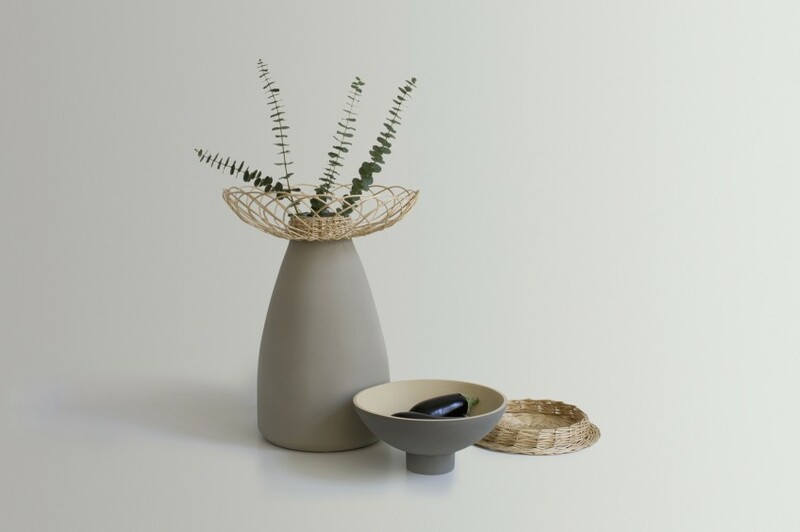 ‚Rustica Subtilis‘ is an intelligent transformable vase & bowls combination. It contains four difference pieces, which can be either combined or used separately in many different ways. 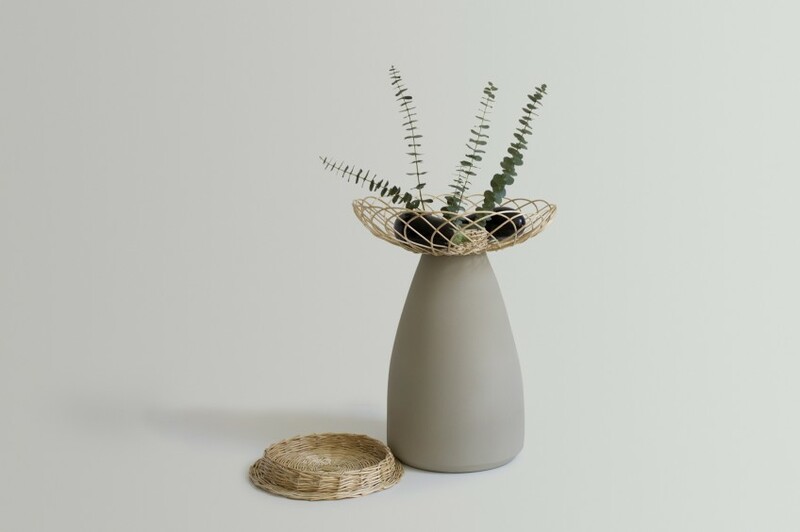 The willow bowl positioned on the top of the ceramic vase allows to store fruits or whatever you want inside. 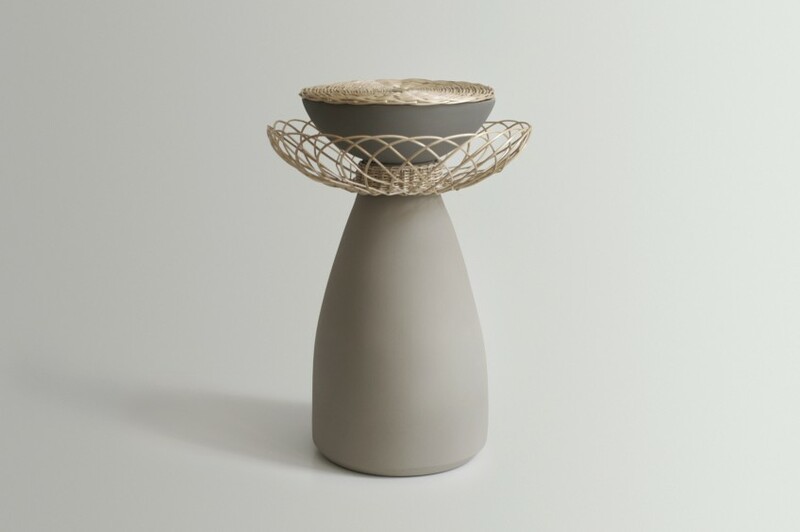 When all the parts are put together, the object can be also used as a side table with a hidden storage place under the lid. 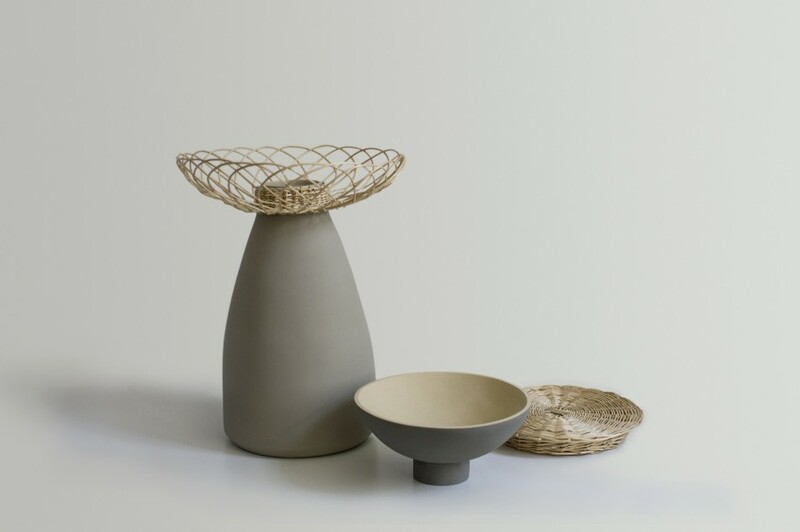 While turned the willow top offers a useful tray or one more bowl. It is up to you, how to use the modular pieces – ‚Rustica Subtilis’ always welcomes to play with shapes and functions.